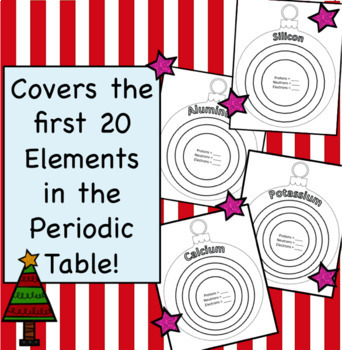 This Christmas Chemistry Resource set is all about drawing atoms and counting subatomic particles. 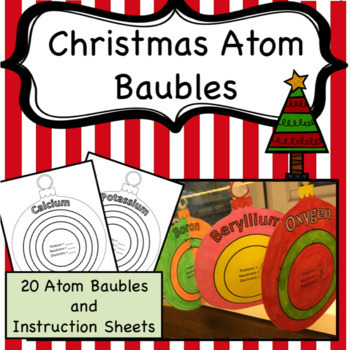 20 Atom baubles (first 20 elements: hydrogen to calcium). 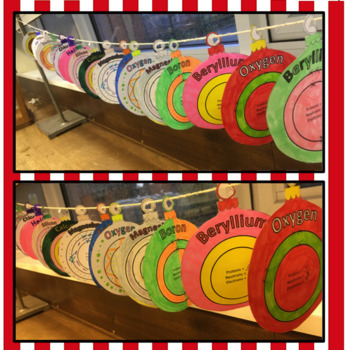 Students must work out the number of each type of subatomic particle in the atom and write it in the middle of the bauble. They must also draw the electronic structure. 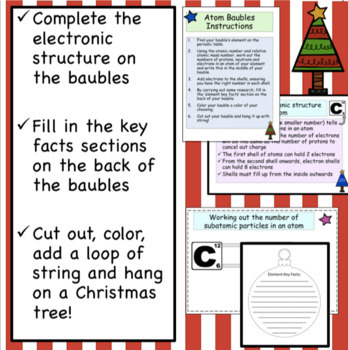 Instruction sheet (outlining what a student must do with their bauble). A subatomic particle information sheet (how to count subatomic particles in atoms using the periodic table).